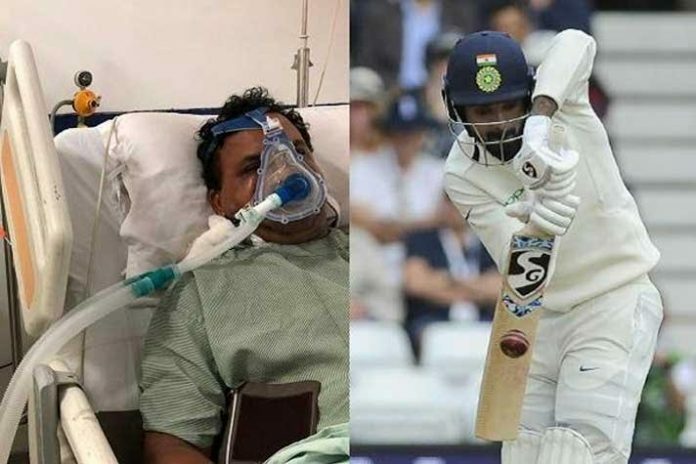 KL Rahul has made a generous contribution to fund the treatment of fellow cricketer Jacob Martin, who is on ventilator support in a Baroda Hospital. Martin’s wife Kyati has confirmed the support extended by Rahul. With Martin in the hospital following a horrific accident, the Kings XI and India batsman made the donation for his treatment and recovery. Rahul has made a generous donation towards the rehabilitation of Martin, who suffered a horrific road accident in December, badly injuring his lungs and leaving him on ventilator support in a hospital at Baroda, KXIP has reported on its website. Martin’s wife had written to the BCCI asking for their aid when the hospital bills started to pile on. Immediately, a donation of five lakh rupees was sanctioned by the BCCI, along with charitable endowments by his former teammates Sourav Ganguly and Zaheer Khan as well as Indian coach Ravi Shastri. Even Indian all-rounder Krunal Pandya came to the support of the former cricketer, sending a blank cheque to the family and asking them to fill in an appropriate amount. However, it has been learnt that Kings XI Punjab opener KL Rahul, appointed to lead India A in the second unofficial Test against England Lions next week, and his team have been the most benevolent donors towards the rehabilitation of the Baroda stalwart. “A big thanks to Rahul and everyone who helped,” said Martin from the hospital bed, as quoted by Mumbai Mirror.